Smoke filled the corridor and burned her eyes. She ran to the air shaft’s emergency ladders. Another crash hit the hull, and another. What were the Seers doing? Had they lost their minds? 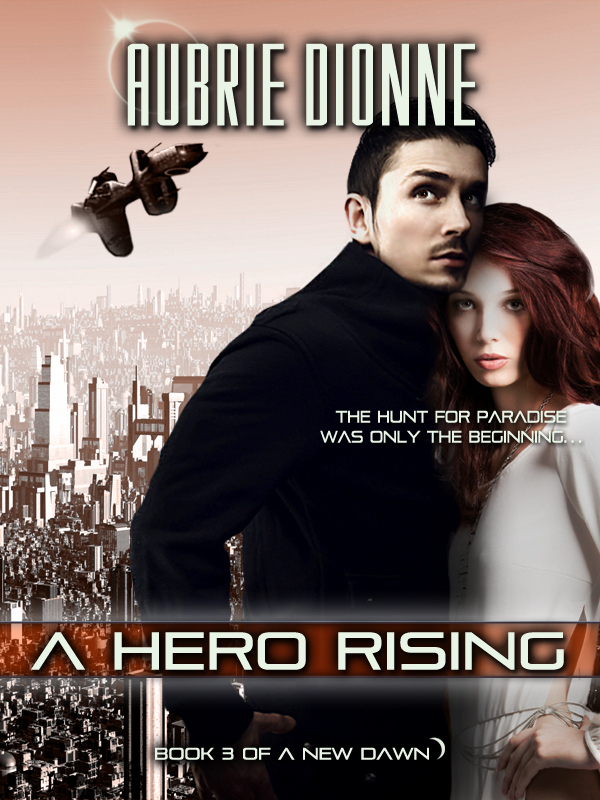 She clung to each ladder rung as she climbed down, afraid another shock would send her plummeting ten levels at once. Gemme searched below her feet. She could climb down ten more rungs to close the lower hatch, or climb back up five to close the upper hatch. Metal clicked, and the emergency systems made the decision for her. Beneath her feet, the particles of the lower hatch materialized. Panic rushed up her legs along with the dwindling air. The Seers had locked her out. Gemme stared at the spinning particles. If she fell too soon, she’d be stuck in the particles of the hatch and the portal would rematerialize inside her. She had to wait for the hatch to become solid. The air grew thin and she gasped for breath. The force of the suction pulled at her, yanking hair out of her ponytail. Once the hatch formed, she leaped down on top of it. Scrambling in the folds of her uniform, she brought out her keytag. Thank goodness she’d worn it around her neck. Sometimes the cord irritated her skin, and she took it off, setting it by her touchscreen. Now, she wasn’t sure if her touchscreen still existed. The thought of her office pummeled by comets flashed in her mind. She couldn’t go back for anything now. She shoved the keytag into the portal panel and typed override. A message popped up. The temperature dropped and she shivered, sucking in one last breath. Gemme forced herself to type slowly to get it right. One missed touch would shut her out forever. Her heart raced as she tapped the panel and the particles disappeared. A wave of hot air blew by her as the hatch reopened. Gemme jumped down and slammed her fist against the panel to close it above her. As the particles solidified, she climbed down to the next level and kicked something blocking her way. “Oh.” She looked away, feeling sheepish and small. How could she have ever thought he’d know who she was, never mind go searching for her in particular during this disaster? Gemme collected her scattered emotions just as something crashed against the hatch above them. The screeching sound of crushed metal echoed down the vent shaft. She followed him down two more levels and through a side passage she’d never have found by herself. They crawled through an air shaft, collecting dust webs under their fingers. A metal grating hung missing half its hinges. Had he come all this way just for her? He paused at the hole below them and waited for her to make the first move. Gemme dangled her legs and judged the distance from the ceiling to the floor below her feet. If she fell the wrong way, she’d break both her ankles. The warmth in his voice calmed her racing thoughts. She locked on his gaze. The flecks of green were so pure, they reminded her of the foliage in the biodome. Those eyes could have been hers to gaze into. She damned the pairing program. Why had it ever put such an outrageous idea in her head? Gemme blinked her thoughts away and slid her hands into his. Their palms molded into a perfect fit. His skin emanated heat, warming her cold fingertips. She closed her eyes as the ship crashed around them. She expected to feel pain, but a light-headed ecstasy bubbled over her. When she opened her eyes, the airshaft remained intact with Brentwood eagerly waiting for her to move. All the crashing had happened inside her, levels being knocked down to reveal surprising emotions she didn’t think herself capable of. Yet, the feelings stirred an undercurrent of familiarity. Gemme searched his features to see if he experienced any of the same emotions, but his wide lips frowned. He was more concerned for her than drunk on possibility He hoisted her down and her feet hit the floor with a bounce. The ship pitched again, and she fell against the wall. Brentwood jumped behind her and ushered her forward, his hands along her waist. They ran to the belly of the ship, where the structural integrity would hold under pressure. Brentwood slapped a panel and the portal disappeared to reveal a bunch of colonists huddling together. Food rations were stacked against the far wall along with space suits. Panic worked its way up Gemme’s spine. If they needed those suits, they were dead already. Gemme nodded and bit her lower lip. She’d known his answer. Escape pods were useless unless they found a habitable planet. It would only delay inevitable death. He bent down, his face hovering a breath away from hers, lips slightly parted. Gemme froze in shock, noticing each light hair in his eyebrows and the moisture on his lips. Only lifemates leaned in so close. He pulled back, shaking his head as if recovering from a trance. Before Gemme’s heart could beat again, he’d disappeared down the corridor, smoke trailing in his footsteps. Brentwood—a man oblivious to her existence. Believing everyone will think she contrived the match, she erases it from the computer’s memory. Just as comets pummel the ship and destroy the pairing system forever. 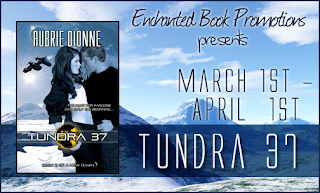 With the Expedition disabled, the colonists must crash land on the barren ice world of Tundra 37 where Gemme is reassigned to an exploratory mission, led by Lieutenant Brentwood. Only in the frozen tundra does she understand the shape of his heart and why the computer has entwined their destinies." and Aurora Wolf. Her books are published by Entangled Publishing, Lyrical Press, SynergEbooks, and Gypsy Shadow Publishing. Aubrie teaches flute at Plymouth State University and the Manchester Community Music School. Please visit her website. 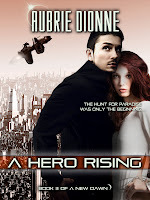 A eBook copy of Aubrie Dionne's novella, A Hero Rising. "After watching his love leave on a colony ship, James Wilfred must save those left behind from a planetary apocalypse. Their salvation lies in an unfinished ship tucked away in a secret government base, and only James can break in and pilot him and his people to freedom on a nearby space station. As the city falls around them, James and Skye must work together to build a new future, all the while rediscovering their ability to love, before the apocalypse claims them both."